Tailored for those hard to remove spots off of your focusing screen the new Focusing Screen Swab™ will, with the help of our fine array of liquids, remove any undesirable contamination. With its specially designed 45 degree angle swab head, the Focusing Screen Swab™ fits into any DSLR to clear your sights through your viewfinder. 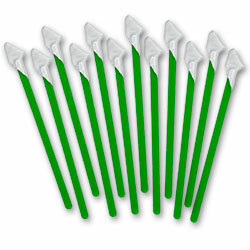 12 swabs per pack In stock! Order now!